A popular all around bag with reinforced die cut handles. Ideal for trade shows and promotional events. The bag can be, but is not limited to, a glossy 1.75 mil thickness, low-density plastic with die cut handles punched through the top portion of the bag where it has a double wall. 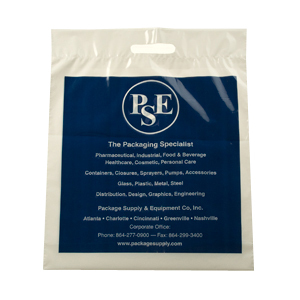 Our Fold Over Die Cut handle poly bags are available in a variety of colors, sizes, and gauges. 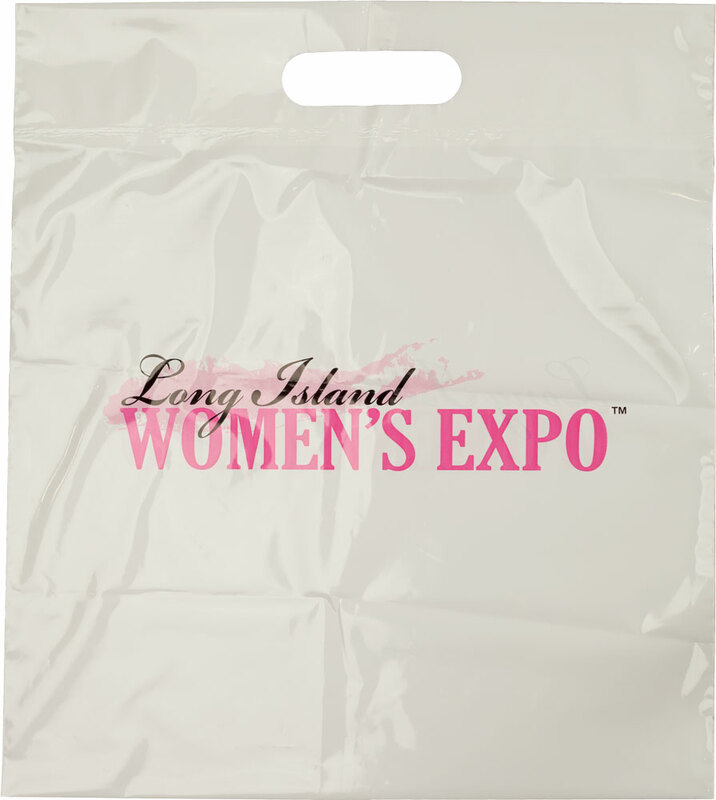 These poly bags are inexpensive, reusable, and ideal for retail stores, conventions, and tradeshows.